World Patent Marketing Reviews A New Automotive Invention. Will 3D Graphic Rims Be the Next World Patent Marketing Low Cost Success Story? "The Tire Manufacturing industry makes $18 billion a year,"says Scott Cooper, CEO and Creative Director of World Patent Marketing. "The auto market's recovery, as well as rising demand for premium tires and accessories will drive the industry forward." World Patent Marketing, a vertically integrated manufacturer and engineer of patented products, announces the 3D Graphic Rims, an automotive invention designed to create eye-catching tire rims. "The Tire Manufacturing industry makes $18 billion a year," says Scott Cooper, CEO and Creative Director of World Patent Marketing. "The auto market's recovery, as well as rising demand for premium tires and accessories will drive the industry forward." The 3D Graphic Rims is an automotive invention created to provide a unique and personalized look for a car’s tire rims. It comprises of a the tire rims and the actual system used to design said rims. The rims are made of durable metal material and further comes with a hub, a support structure, a circumferential portion and a 3D design. The 3D design is what makes this invention unique due to its added texture. What's amazing about it is that while it has a 3D-like texture, it will not affect how the tires work and move. To use the 3D Graphic rims, all that is needed is to select the desired design generate the necessary details needed for the design. After the finished design is shown and approved, the final step would be to purchase the rims via the same system. "A new style of automotive customization. 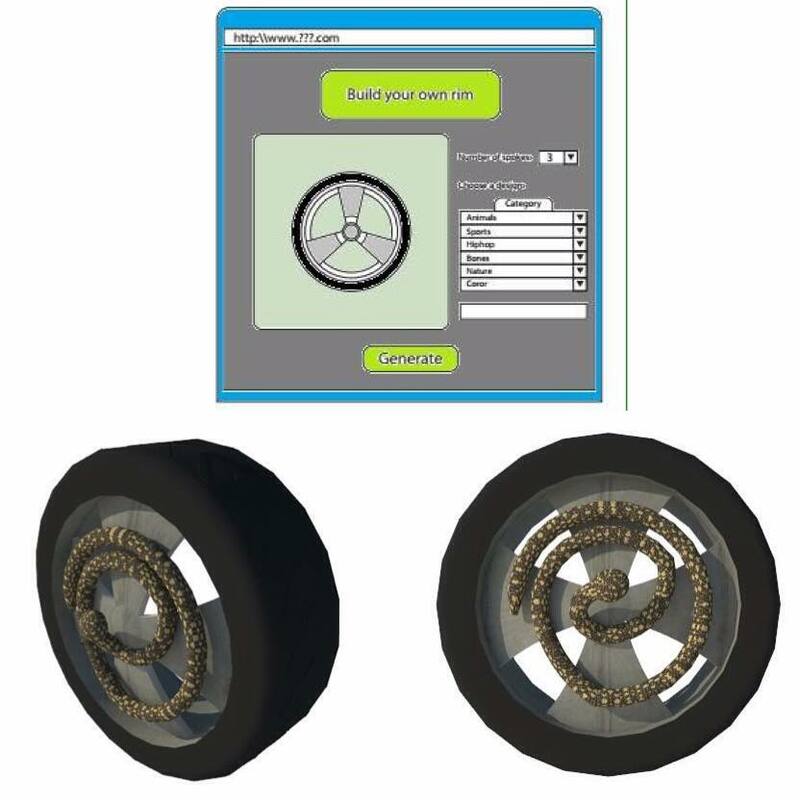 3D Graphic Custom Rims provides a new way to customize your automobile to a whole new level," says inventor Joel B. "Express who you are with next generation 3D Graphic Custom Rims." The 3D Graphic Rims is an automotive invention that puts vehicular designing to a whole new level.